What Are Those Pregnancy Cravings Telling You? Lots of women think pregnancy equals a free pass to eat whatever, and as much as, they want. 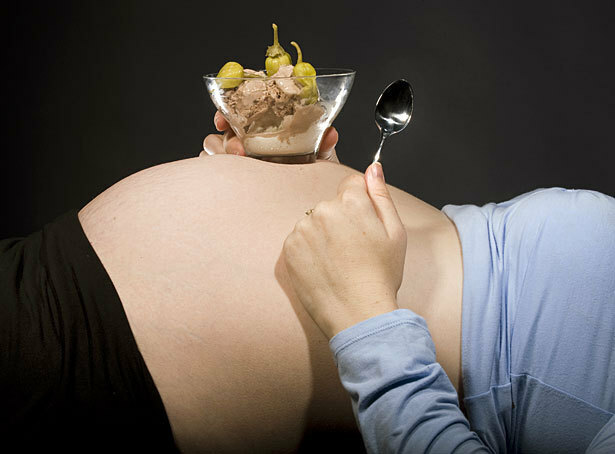 While there is a need to eat a little bit more to support a growing fetus, indulging every pregnancy craving, from a bag of jelly beans for breakfast to an ice cream sundae midnight snack, isn’t the best idea. That little baby inside needs more than just calories to be healthy. He or she needs vitamins and minerals and all the building blocks required for a healthy body. But how do you know what exactly baby needs, and when? Here’s where your crazy pregnancy cravings come in handy! Your cravings are more than just weird and random side effects of pregnancy. They’re important signals that should be honored, especially during pregnancy. Our cravings and food preferences are actually hard-wired into our brain and genes, stemming from our earliest days of basic survival, which is why almost everyone experiences them. Every nutrient has a direct effect on the body, on energy, and on mood. Think of your cravings as your body’s requests for whatever it needs in the moment. The key is knowing how to interpret our body’s requests. Once we understand where our food cravings are coming from, instead of reacting to them with unhealthy snap decisions, we can better respond to them with smart choices that are truly satisfying on every level. So how do you interpret your body’s (or your unborn baby’s!) request for that root beer float you’ve been dreaming about for three days? According to Julie’s book Superfood Snacks, when you’re craving sugary or starchy foods your body is actually craving glucose, sodium, chromium, or serotonin/dopamine. Instead of that root beer float, try eating dates, bananas, dulse, garbanzo beans, quinoa, broccoli, or goji berries. These foods will satisfy not only your craving, but the true nutritional needs of your body as well. Want to see a full list of cravings and what your body really needs? Check out her article at Mother Earth Living. And before you reach for that bag of jelly beans next time, try something that packs a little more nutritional punch. If not for you, then do it for the baby. There’s nothing better than having a happy, healthy baby, right? What Does Eating for Two Really Mean?